It's Like Shipping Your Products in a Suit of Air-Filled Armor. 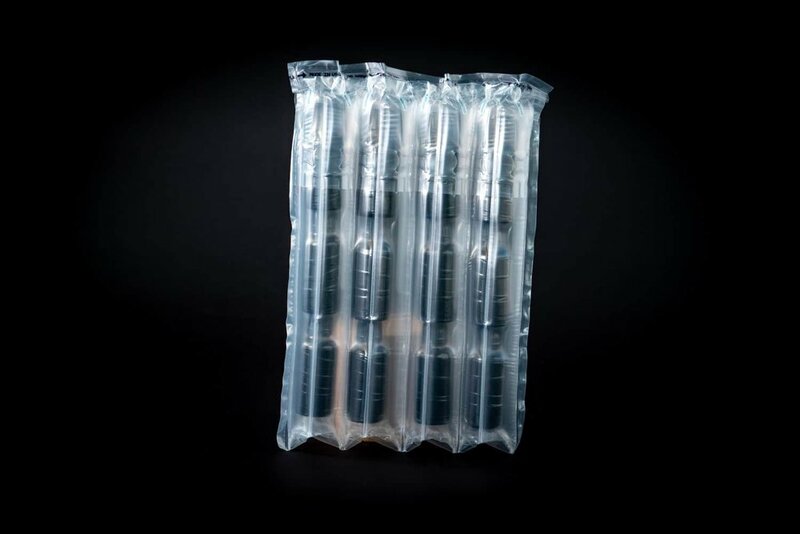 No other product packaging method provides more shipping damage protection than Aerocell inflatable structural packaging. And no other eco-friendly, US-manufactured packaging option offers more 3-D solutions perfectly tailored to your product. Patented pressure-adjusting columns of air provide the ultimate G-force shock protection. Let’s face it, gravity is not a shipper’s friend. At least not when it comes to providing breakage protection for your products during shipping and handling. That’s where Aerocell’s patented, pressure-adjusting air columns make all the difference. Maximum shock protection for your product is provided by enclosing and completely surrounding it with independent, multi-sized columns of pressurized air that absorb nearly all potential G-forces from every angle. It means products ranging from fragile art glass, ceramics and bottles, to electronic devices, computers and delicate components can be shipped with complete confidence, reducing returns due to handling damage to nearly zero. Using Aerocell inflatable structural packaging is like shipping your products in a suit of air-filled armor. With Aerocell inflatable structural packaging, a single sheet of substrate can be shaped into a nearly limitless array of 3-dimensional forms—from end caps, bags, pouches, cradles, folded designs and more. If you’ve got a demanding packaging problem, there’s an excellent chance we’ve already solved it. But, if not, our design team is ready to evaluate your application and quickly develop a prototype solution sample, typically within 5-to-7 working days. When you compare all available traditional packaging options and material choices, including molded pulp, polystyrene and polyethylene, you’ll see that Aerocell inflatable structural packaging is not only very price competitive, it’s also far superior in several areas, including pre-use storage volume, cost of entry, and recycling. Being eco-friendly isn't just a catch-phrase for us; environmental responsibility is a corporate mandate at Aerocell. Not only are our products recycling-code #7 classified, we also recycle 100% of our manufacturing process scrap. 10,000 shipments, zero damage returns. 100% of all Aerocell Products are manufactured in the United States. Our dedicated and passionate team, based in Batavia, IL, makes every product we sell. And every raw material we use comes from U.S. producers. We ship Aerocell flat, un-inflated. The customer then inflates it at their point of use. As a result, large volumes of our product take up very small amounts of space. A pallet of Aerocell is equivalent to a truckload of competitive packaging options. This means Aerocell lowers your freight costs and uses a fraction of your inventory space. A pneumatic inflation fixture, called an Aeroport,™ is the source of compressed air that inflates Aerocell, typically in 1-3 seconds. Some customers use a portable compressor and others use in-house compressed air. How long will Aerocell stay inflated? Aerocell's high-nylon, co-extruded film provides maximum chamber air holding time. Aerocell typically remains fully inflated for 30+ days. Will Aerocell protect my damageable product? When we say Aerocell is like surrounding your product in a suit of air-filled armor, we mean it. Aerocell completely protects such delicate and fragile items as glass, electronics, plastic containers, and items with contents under pressure. And it does so in some of the harshest environments. See our case studies for real-world proof. Yes, 100%! But more importantly, Aerocell reduces to less than 5% of its inflated volume, significantly reducing recycling shipping costs. For one customer, Aerocell reduced the recycling footprint by 195% when they switched from extruded foam. Aerocell's costs are directly competitive with the most commonly used packaging mediums. Does Aerocell sell standard or custom items? Both. Aerocell has a wide range of standard solutions for such products as toner cartridges, bottles and electronics. Wherever we don’t have an off-the-shelf solution, we will quickly and cost-effectively develop a custom-designed product to meet your needs. Minimum quantities for custom products can be as low as 2500-5000 pieces. Standard item minimums can be as low as 150-300 pieces. Are there high costs of molds, tooling to make a custom product? No. We can often produce a product without any upfront cost to the customer. Whenever custom solutions do require custom tooling, our start-up costs are always highly affordable. How do I submit a custom product for design and how long does it take? After our initial discussion with a customer regarding project scope, goals, current packaging, requirements and volume needed, we usually require a sample of the product to be packaged. We then generate a prompt RFQ, typically within 5-7 working days, depending on project complexity and scope. Start an RFQ, or request a sample today. Talk to a packaging design expert. Our design team can typically develop the perfect inflatable structural packaging solution to fit your requirements within 5-to-7 working days. Our simple, single-point airflow unit, called an Aeroport,™ is included in your Aerocell system. If You Need to Ship It, Aerocell Can Protect It. Aerocell began in 2007. 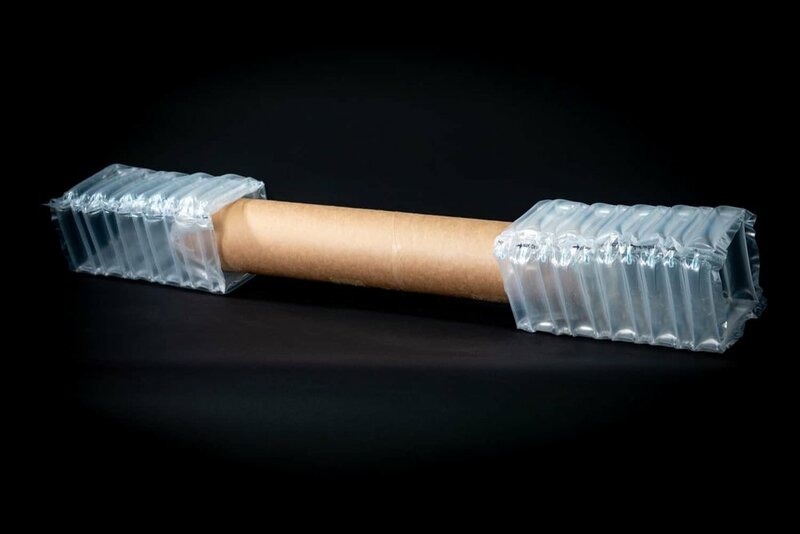 Mike Baines, a veteran of the packaging industry for more than 25 years, saw inflatable structural packaging as the perfect eco-friendly solution to safely shipping any product anywhere in today's e-commerce economy. Aerocell is the only U.S. manufacturer of Inflatable Structural Packaging. The company provides Design, Prototype Sampling, Manufacturing and Distribution all from one domestic location. "The trend for more protective packaging will continue, especially in our growing eCommerce economy." Mike literally grew up in the packaging industry. We've probably already solved your packaging problem. But, if not, we can evaluate your specific needs and custom design a solution, usually within 5-to-7 business days. We're the only U.S.-based manufacturer of inflatable structural packaging. And we've invested a decade into designing and perfecting this state-of-the-art technology to efficiently manufacture and distribute Aerocell to you. We believe in not only adhering to regulatory requirements, we exceed them. We create standards of our own when regulations do not exist. And we continuously explore innovation around renewable materials and resource conservation, not only when it comes to recycling, waste management and reduction. but also when it comes to energy reduction and management. The planet is good to us. We simply want to return the favor. 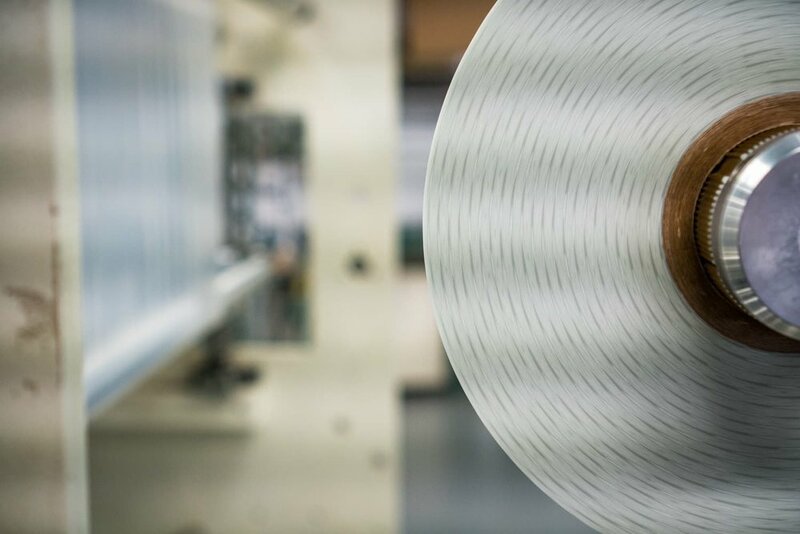 Your Aerocell packaging solution can also included tinted and anti-static films, custom printing, and re-sealable, easy-open bags and pouches. Aerocell is shipped flat and inflated upon use, taking up a fraction of the inventory storage space of traditional packaging. We’ll test your package design, evaluate your ROI, integrate Aerocell into your shipping process and provide the tooling and fixtures needed to begin mass production. Aerocell’s strategically-located North American supply chain network and distribution centers can then meet your just-in-time (JTI) and vendor-managed inventory (VMI) program needs. Aerocell® was approached by Nyco Products Company, a specialty manufacturer of high performance national cleaning brands and private branded chemicals, to assist with creating a packaging solution for their OM1 Series Cleaners. more savings on shipping costs. Confidence in packaging has been a key metric allowing Nyco to build market penetration in Food Service, Maintenance and Repair Operations (MRO), Building Facility Maintenance, and the Retail Hardware Markets. 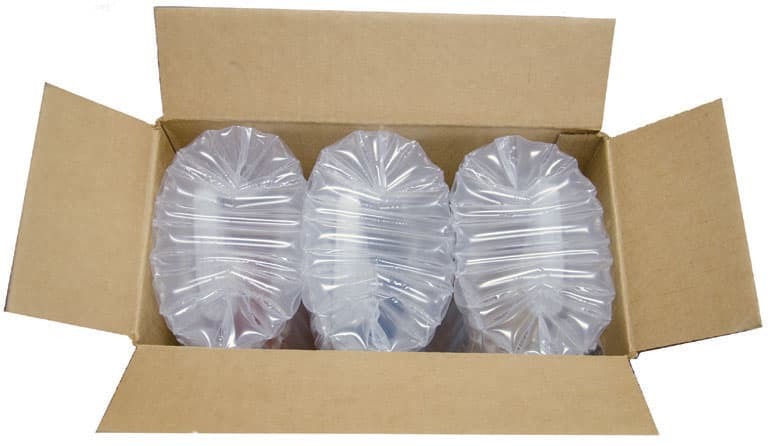 Nyco has been able to eliminate the need for packaging peanuts and for neck taping sprayers for sample bottle shipments, resulting in reduced labor and total packaging costs. Mike went to work in his father’s packaging business while in junior high and literally learned the business from the ground up. After school, Mike would sweep floors, clean bathrooms, and load and unload trucks in the warehouse. He also went with his dad to visit customers, vendors, distributors and manufacturer’s reps. And when Mike turned 16 and got his driver’s license, he became his dad’s delivery truck driver. In 1997, after graduating Purdue University with a degree in agricultural economics, Mike felt the pull back to the family business, mostly due to the strong relationship he and his father share. Mike dressed in a suit, requested a meeting with his father, and then asked him if he could come back and work for him full time. Mike worked his way through the company, eventually becoming president, and then launched Aerocell in 2007. Since Mike has had firsthand experience selling every traditional packaging material and method that Aerocell now competes against, he can speak from experience about the advantages and disadvantages of each method from an end-user’s perspective. In 2009, Aerocell commissioned a machine builder in Wisconsin to develop the manufacturing equipment it needed to produce its own product line and added design and production staff. And Mike established relationships with manufacturers’ reps and distributors across the country to ensure national sales and customer service. Today, with the right combination of off-the-shelf and custom-designed solutions that are all made here in the US, Aerocell is the only domestic provider of inflatable structural packaging. It’s also the only provider located anywhere in the world offering its patented, variable-size air chamber design that completely protects delicate and fragile products from destructive shipping and handling g-forces. Mike is one of the only packaging experts in the world with the rare combination of extensive packaging industry experience and an insightful vision for the future. As a result, Aerocell is redefining the industry and establishing new packaging standards.